Before hiring a private investigator consider the following informational interview with STT’s Director of Investigative Services Jim Dominwoski. Jim has been with STT for over 30 years. Over the years Jim has been featured on the USA Network Television show Case Closed. Several of the cases Jim has worked have appeared on shows such as 60 Minutes and local television networks. Jim is classified as an Expert Witness by the Michigan Court System in Security and Loss Prevention Techniques and also has been a featured speaker at many conventions and trade shows. 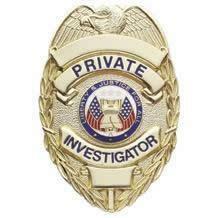 Q: Why should I consider hiring a Private Investigator? A: You need to make sure the person you are hiring for a position in your business or home has integrity and is honest. You have suspicions of Fraud or Deception that need to be confirmed. You have the need for a discreet Professional Investigation. You need to locate a witness or individual. Q: What types of services do Private Investigators Provide? A: Private Investigators offer many types of investigations. Investigators often work with Law Firms to gather information on civil or defense cases .Insurance companies often hire investigators to look into suspicious claims. Private individuals hire investigators to locate missing people, to do surveillance on spouses and many other reasons. Businesses hire investigators to do background checks and embezzlement investigations. Q: What types of things are Private Investigators not allowed to do? A: Private investigators are not allowed to break the law. Although Private Investigators have access to information the general public can not obtain, they must obey the same basic laws as ordinary citizens. Three big things they cannot do: Pose as Law Enforcement Officers. Wire Tapping. Obtain cell phone records via pre-texting. Q: What should I do before hiring a Private Investigator? A: It is important you due your due diligence before hiring a Private Investigator. You should do the following: ask for and check references, obtain their license number and check with the state licensing board to make sure they are current and have no complaints. It is also a good idea to check with the better business bureau for any complaints. Q: How do Private Investigators charge? A: In the majority of cases Private Investigators charge by the hour. Hourly rates vary. Nearly all investigators will ask for a retainer fee before taking a case. It is unlikely you will find an Investigator willing to do just one or two hours of investigative work. Q: What types of special tools or equipment do Private Investigators use? A: A successful Private Investigator will own several investigative tools. These tools are based on the type of cases they work on. The most important investigative tool is a surveillance friendly vehicle. Other things are digital video cameras, covert body cameras, covert body recorders, night vision cameras, gps tracking equipment, and security video systems. Q: Who must a Private Investigator divulge information to? A: A private Investigator may not release information acquired during an investigation to anyone other than his or her client, unless otherwise instructed by the client. However if a judge issues a Private Investigator to release information through a court order, the rules of the court must be followed. Q: Must a Private Investigator carry liability insurance? A Private Investigator is required to carry insurance if they are carrying a firearm. Before hiring a Private Investigator one should verify that there insurance policies are up to date and that you are named as a co-insured for your own personal liability protection. Q: Do Private Investigators ever offer free advice? A: Often Private Investigators will offer free advice on how to proceed before accepting a case. Many times they will advise a client to consult with an attorney before taking on a case. This insures that the investigation will not only be beneficial but cost effective. Q: What are some interesting facts about Private Investigators? A: When handling investigations Private Investigators are not required by law to advise a suspect of their Miranda Rights. Some Private Investigators are armed and some are not. Often Private Investigators work hand in hand with Law Enforcement to bring a case to a successful conclusion with the client’s best interest in mind.